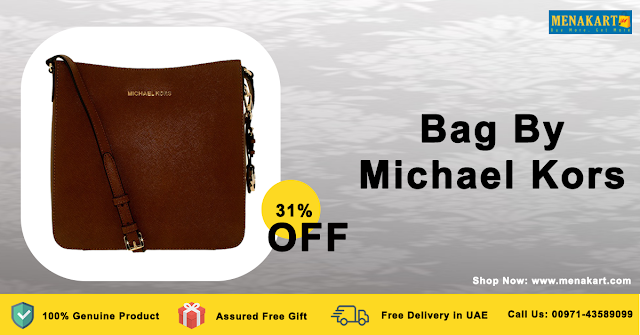 Single Strap with strap drop of 22"
In this fast-paced, modern world, you simply cannot go wrong with this ultra-chic messenger bag by Michael Kors. Featuring a roomy 10", with two side pockets, you will be sure to have plenty of space to keep all of your accoutrements within reach. The 22" leather strap is easy and comfortable to carry, while keeping you looking classy and hip.